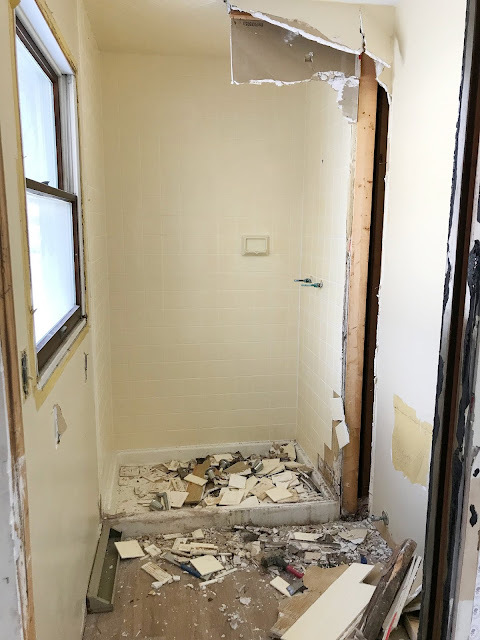 As I mentioned in my last post, we've officially begun our largest (not to mention, most expensive) home improvement project. From the first moment we saw our home-to-be, we knew we would be building a new garage. You may remember what the old one looked like. It would not cut it here at Casa Rogers/Danks. Mr. Danks alone could fill a three car garage, an off-site storage unit, and a pole barn, and still not have enough room. I may never understand the man/garage relationship. It must be like girls and their closets. Now there's something I could write a few posts about, oh wait, I have. But, I digress, back to the man cave. 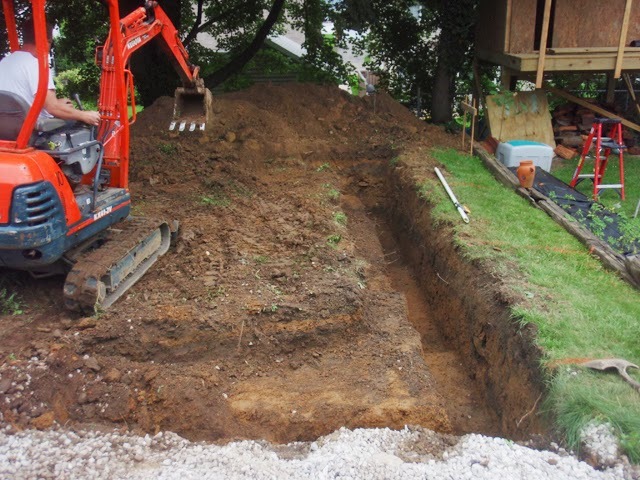 After laying out the measurements, Mike rented his equipment, took a personal day from work, and got busy. He also picked up some "payment" in the form of beer for the suckers who came over to help. 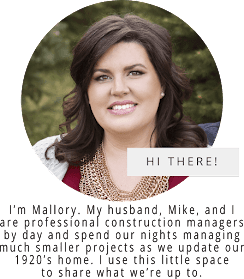 They started by digging the footer, which is filled with concrete and what the block sits on for all you non-construction savvy readers, (pretty much anyone coming from my neck of the blogging woods). 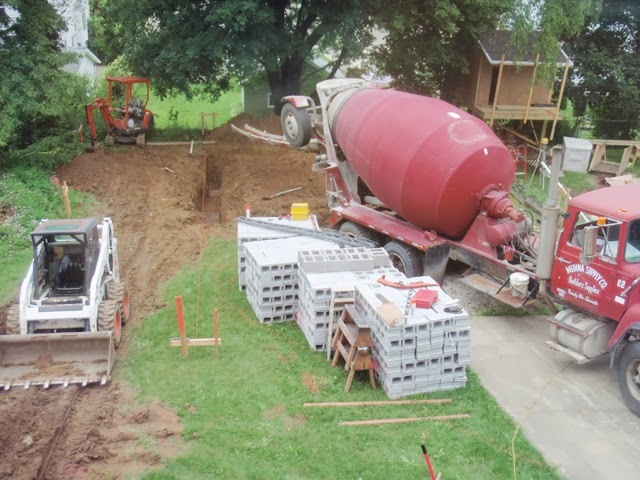 After the footer was dug and inspected, (passing with flying colors I might add), the concrete truck backed down my suddenly very small and narrow driveway and fill'd her up. Yes, that's my honey standing in the concrete with jeans and regular work boots on, that night he had the caustic burns to prove it too. 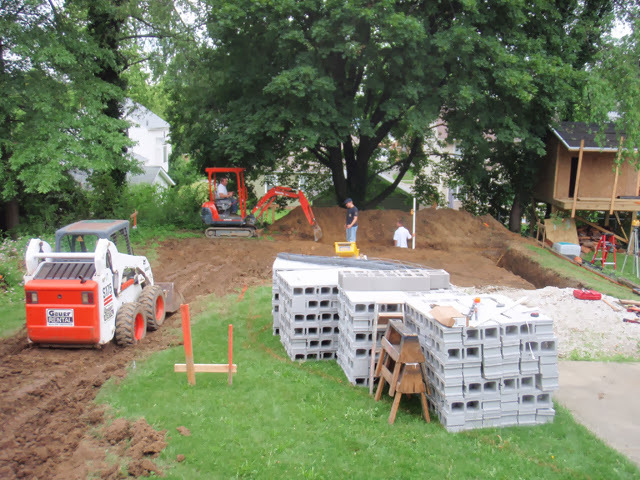 After 12 hours to let the concrete set, it was one block at a time until the foundation was complete. 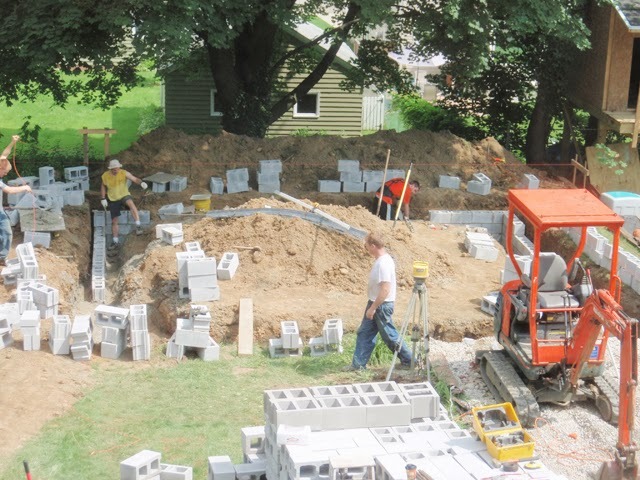 The guys started out a little slow, but quickly found their stride and became a regular masonry crew and completed the whole foundation in two days! 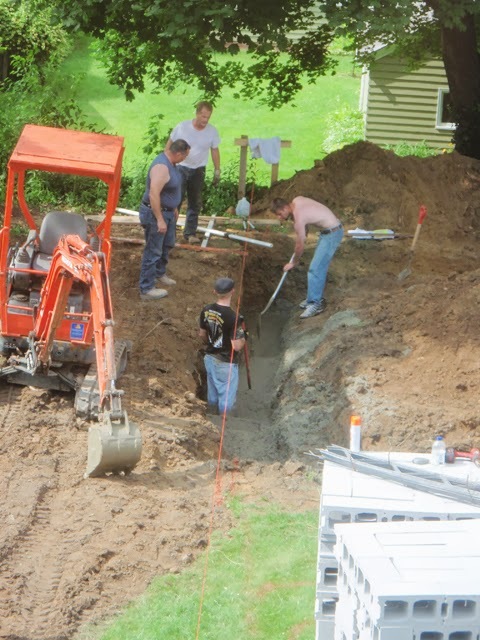 Come back later for Part Two to see some "dirty" details as we complete the earthwork.